The interval between birth and weaning is brief in guinea pigs. They're among the easiest captive young to wean and the fastest to mature. For this reason, it's important to keep close track of their ages. Just a week can make a big difference. 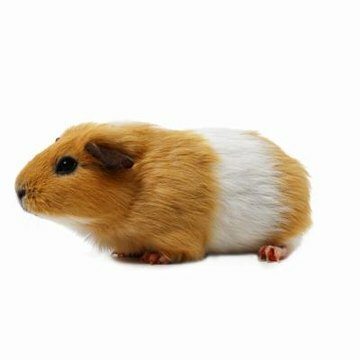 If you decide to breed your female guinea pig, known as a sow, you must do so for the first time before she reaches the age of 7 months. After that, her pelvis starts fusing if she hasn't previously given birth, and she could die or suffer serious injury in any subsequent pregnancy. Sow pregnancy ranges from 63 to 70 days -- a long time for a rodent. Sows increase enormously in size while pregnant, often doubling their body weight. When the sow delivers, the babies come fast and furious. She should deliver the entire litter within a half hour, based on the average of three or four babies per litter. At birth, baby guinea pigs, or pups, look like miniature versions of adults. They have hair and teeth, and they can see, born with their eyes open. They naturally nurse from their mother, but if she dies during birth or is otherwise unable to feed them, guinea pig pups can consume solid food. You can start separating and weaning the babies by the age of 2 weeks, if they weigh enough. At birth, guinea pig pups weigh between 2.4 and 3.5 ounces, or 70 to 100 grams. Guinea pig mothers don't care if you handle their offspring, so you can and should weigh the babies regularly. Once specimens weigh more than 5.2 ounces, or 150 grams, they can be safely weaned. Before that, you risk their not getting the crucial nutrients their mothers' milk provides. It's important not just to wean the babies by the age of 3 weeks, but also to separate the males from the females and their mothers. In guinea pigs, sexual maturity also comes with amazing speed. Males can become fertile as early as the age of 3 weeks, although for most it's a week or two later. Females can get pregnant as early as 4 weeks of age, although 6 weeks is more the norm. If you don't separate the pups by 3 weeks, you could have male offspring trying to impregnate their mother.